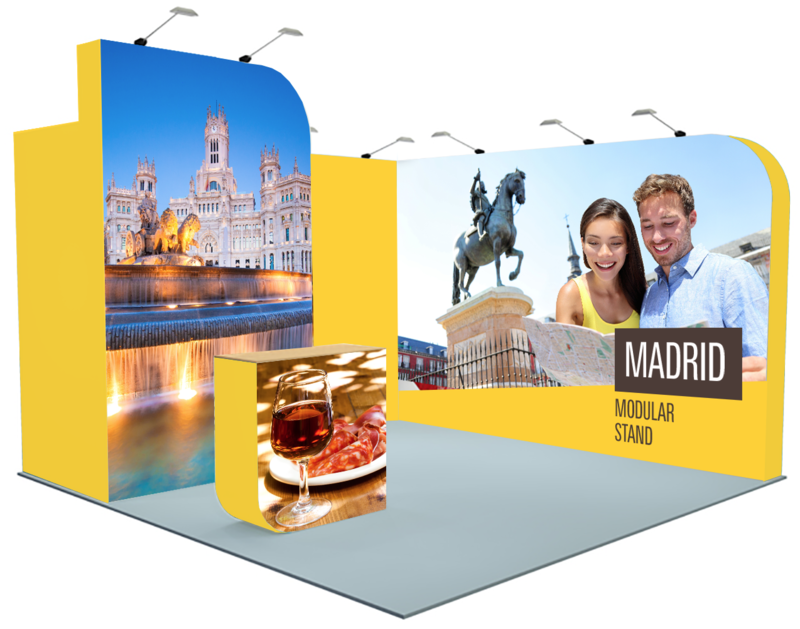 Event and Exhibition Stand Branding | Smart Inc. 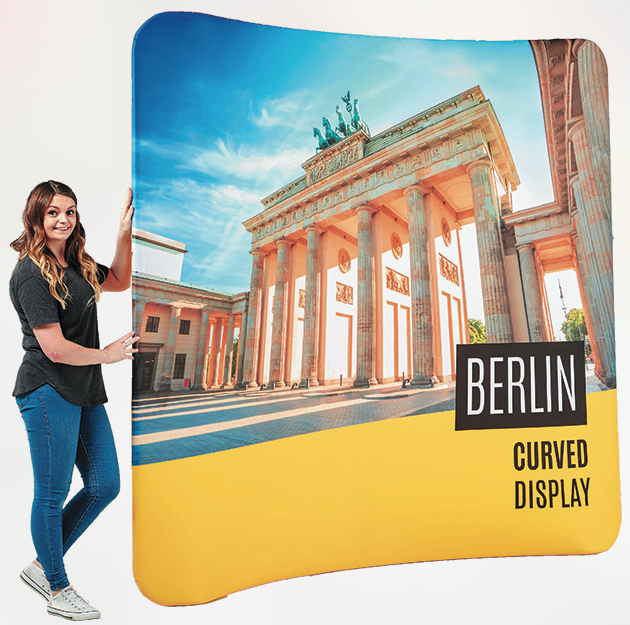 The 260gsm ‘stretch’ fabric cover is printed on both sides as standard. Designed to fit snugly over the frame, it is secured at one edge with a zip fastening. The fabric cover is changeable, and additional covers can be ordered separately. 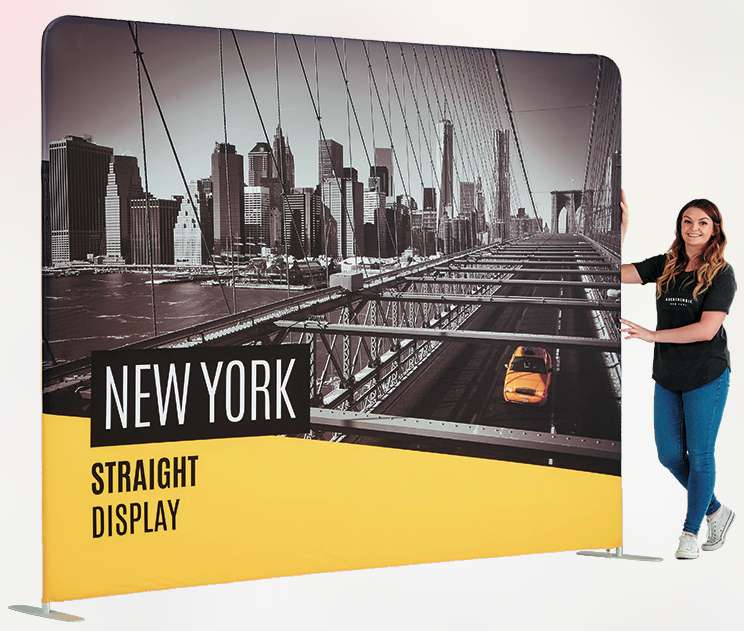 These ‘next generation’ displays deliver maximum impact and completely eliminate the problem of visible join lines on the larger displays. 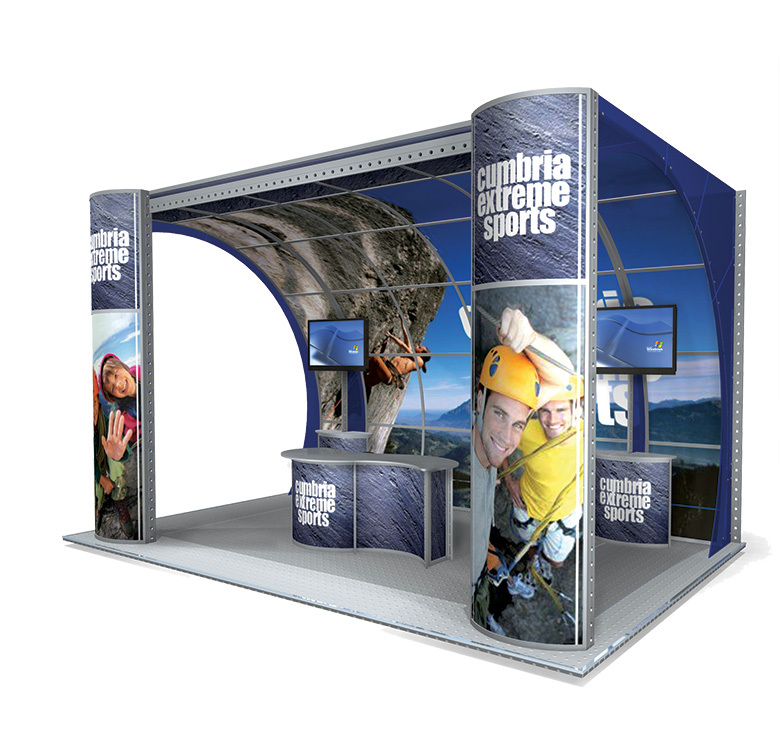 These Pop Out Banners are easy to put up with their ‘pop out’ construction method. Just release it from the carry bag and watch as it assembles itself in an instant. 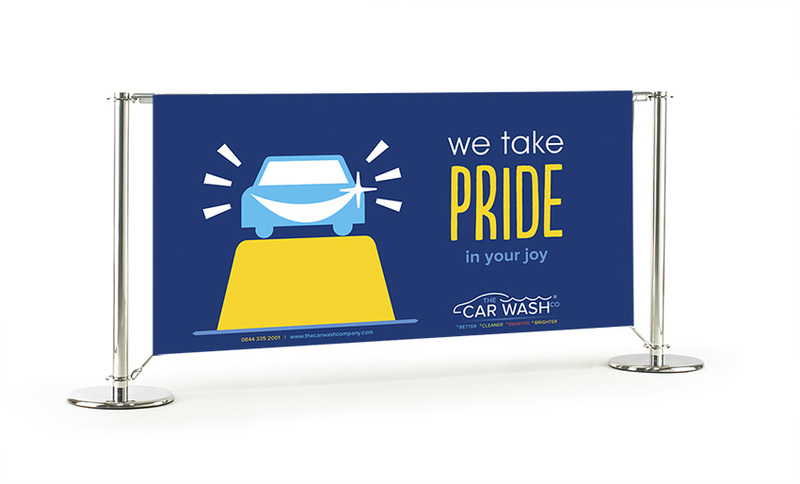 PVC Banners are printed on a 440gsm PVC substrate using latex inks which gives them a scratch, UV and water resistant finish. 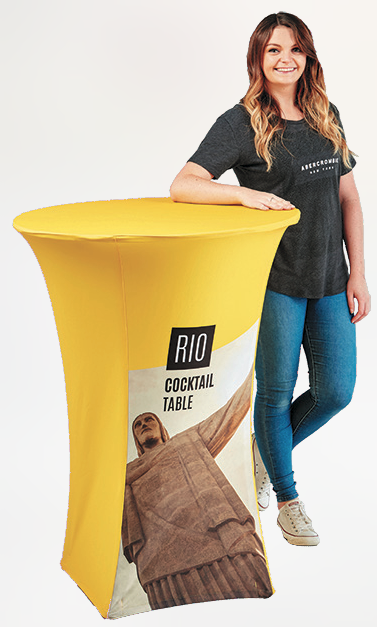 The banners have welded hems and can be eyeleted — perfect for long-term outdoor promotions. 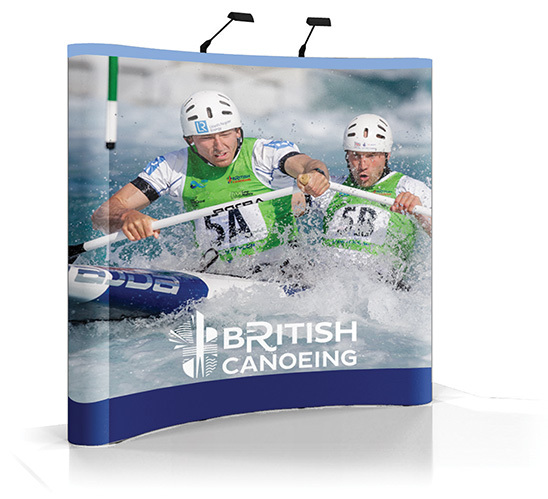 These portable Roller Banners are ideal for exhibitions and permanent indoor displays. 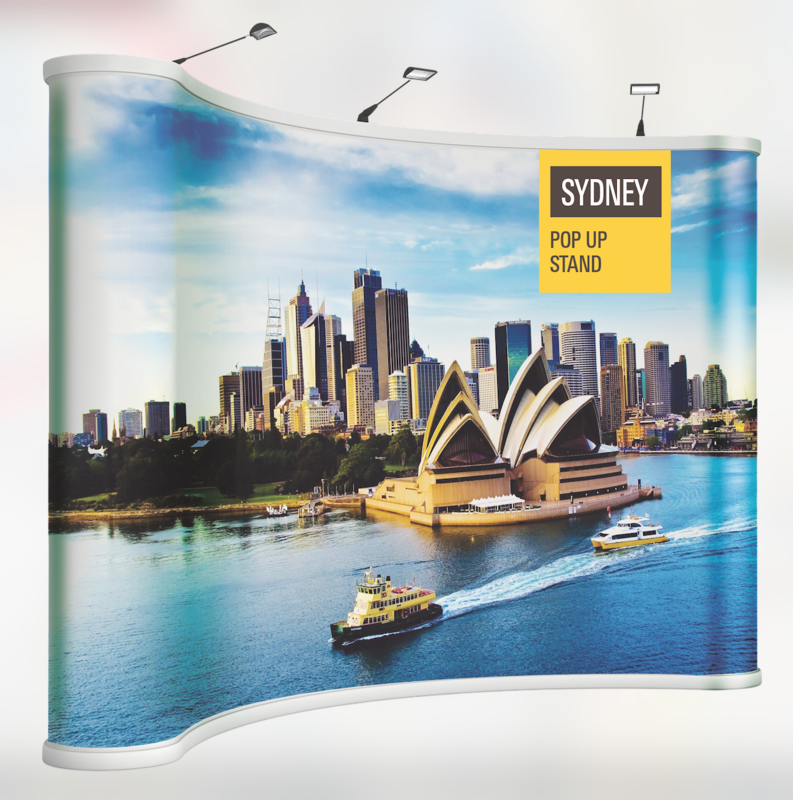 Choose from either the economic 440gsm PVC poster or the 410gsm Greyback poster material which prevents light from passing through and minimises curling. Both substrates are printed using latex inks which gives them a scratch, UV and water resistant finish.